We just bought this house that had to have quite a bit of work done to it, so we've had to find people to come in and do repairs and things that my husband couldn't do because for the most part, he does things himself. We bought a shed and my husband, instead of using it for storage, made a workshop in there. 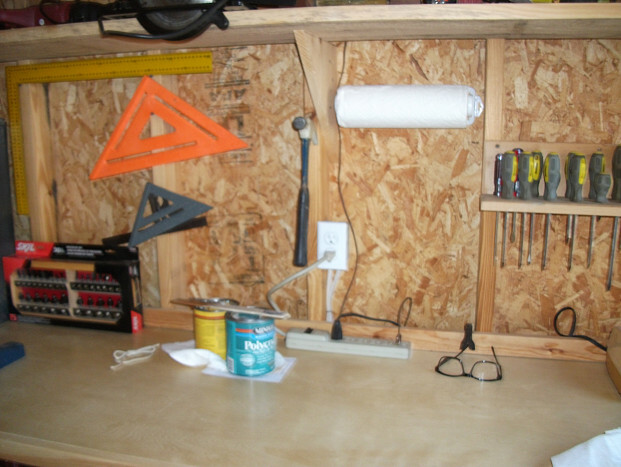 It's a very large wooden shed, so he wanted to have electricity in there for his power tools. That's when we started calling around and that's when I guess I came across your ad on the Internet. That's how we found A&A. The most important factor, naturally, was price. We had gotten two other estimates which came in much higher, and I think when I filled out your form, there were 3 electricians that were supposed to contact us. One called and when my husband explained what he wanted to have done, he said he would call back because he was on the road. Well, he never called back. The other one never called at all, but A&A called and they actually came out that same day, gave us an estimate, came back the next day, and installed the electrical service. We were thrilled! They gave us excellent service. They were here on time, very professional. They had to dig a trench that went from the patio area, 20 feet from the end of the house. Then they put 3 outlets into the shed. Then they put all the dirt and grass back that they had dug out. They cleaned up everything after themselves, so we were pleasantly surprised. The whole job took about an hour and a half. There were 2 guys that came -- the owner, who had come the day before and given us the estimate, and his helper, who dug the trench. The owner is the licensed electrician, and he's the one that did the actual wiring. They brought everything with them. We didn't have to supply anything. And they put 3 outlets on the shed and one outside, and it's at the back of the house. My husband was out there with them and he said they wasted no time at all, they got right to work. We didn't really know what a job like that should cost. We had estimates that were higher and we were like, "This guy's coming in a little lower. " Maybe you are a bit concerned, but once the job was done, my husband was like, "No, he did an excellent job." We had one guy that's 10 minutes up the road from us and he came in at more than double what we paid. So we were like, "Oh my gosh!" in a state of shock. If we had just assumed, "Well, I guess that's what the job is worth" then we would have been paying out a heck of a lot of money for the same type of work that we got done at what we thought was a very reasonable price. It seemed like a very fair price. 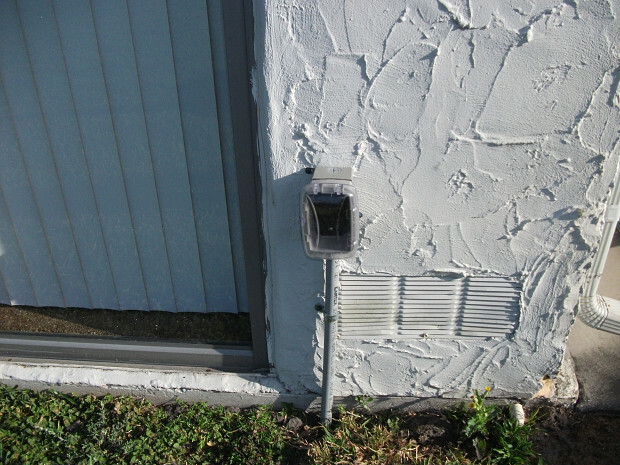 Even for that outlet that he put on the outside, which is the GFCI one, he had to come into the house and move some furniture to get to where he had to wire it in, and we didn't have to do any cleanup after they left. That was kind of refreshing. I've already recommended them to someone else. I gave her one of their cards. So word of mouth is good. That's what people look for -- referrals. I think it's important to find someone and read the reviews on them. That was what I liked about your site. We were able to read the reviews and people's comments. You know, price is also a very important factor, especially if you have to find electricians or plumbers or whatever. So I guess my advice is: Try to get referrals, try to read reviews, and don't just settle for one estimate. Shop around and do a comparison. And ask the right kind of questions. Before he even got the estimate, my husband said, "This is what I want, and you need to tell me what you're going to charge." Then we had the electrician put it in writing and paid him and, as I said, we're very pleased with the work they did. Everything's working just fine.